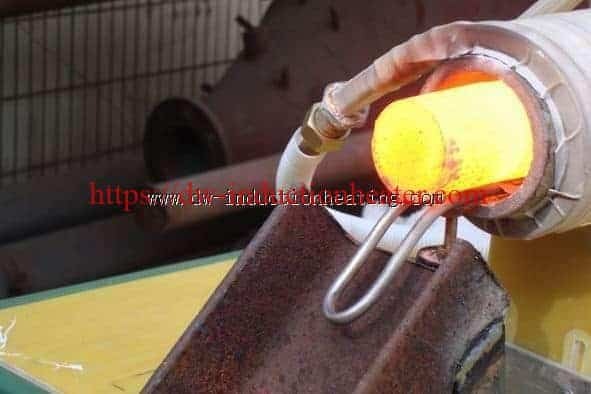 Induction forging uses induction to heat metal parts before they are shaped, or ‘deformed’ by presses or hammers. Induction forging has several key advantages over furnace forging. The speed and controllability of induction ensures high throughput. Induction also minimizes oxidation and helps maintain metallurgical integrity. And since induction delivers precise, localized heat, it saves energy. The consistency and repeatability of induction make it ideal for integrating into automated production lines. Induction forging is widely used in the metal and foundry industries to heat billets, bars and bar ends. Metals commonly forged with DaWei Induction Heating systems include aluminum, brass, copper, steel and stainless steel. Three families of DaWei Induction heating equipment can be used for forging applications: DW-MF series, KGPS series. However, DW-MF induction forging furnace includes various models that are specially designed for high-output forging of billets, bars, handlebars, bar ends, bolts and pre-formed components.